This editorial, by Allison Margolin and Raza Lawrence, also appears in the July 25th, 2018 edition of The Daily Journal. 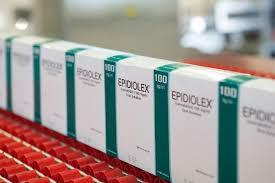 On June 25, the Food and Drug Administration announced that it was approving Epidiolex, a cannabidiol (CBD) oral solution for the treatment of seizures associated with two rare and severe forms of epilepsy. This is the first drug approved by the FDA comprised of an active ingredient derived from marijuana. California’s health department also recently made clear that state law forbids adding CBD products (whether from cannabis or industrial hemp) to any food. Regardless, the FDA’s ruling could open up CBD and cannabis generally to broader acceptance in government and society. Drug Enforcement Administration and FDA would each have the power to remove marijuana from Schedule 1. What happens next if cannabis is removed from Schedule 1? There are different possible paths. Under one scenario, feared by many in the cannabis industry, cannabis would become regulated by the FDA as a Schedule 2 (or 3 or 4 or 5) controlled substance. Complying with FDA regulations can be extremely expensive and time-consuming, which is why drug companies are all large corporations rather than “mom and pop” operations. The estimated cost of bringing a new prescription drug to market is $2.6 billion. In California, the cannabis industry has operated for years under an informal system of non-profit “collectives,” with only vague legal guidelines and no regulation. This year, the state is transitioning to a new system of state and local licensing and regulations. 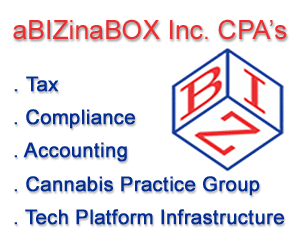 California cannabis cultivators, manufacturers, distributors, and retailers are already struggling to comply with the new high taxes and complicated regulations imposed by California. If the FDA were to take over the regulation and licensing, the costs of compliance would likely be much higher, and only those with the deepest pockets would have the resources required to produce and sell cannabis. The costs of compliance would inevitably be passed on to consumers, who would face sky-high cannabis prices similar to those of prescription drugs. Federal control and regulation of cannabis, however, is not inevitable. Many would prefer the approach taken by proposed federal legislation that removes federal penalties and allows each state to sets its own marijuana policy within its borders, similar to how alcohol is now treated. Under this approach, the FDA would not regulate cannabis like a prescription drug, but could still prevent misleading health claims or misrepresentations on labels, and enforce basic quality standards, as it does for dietary supplements. 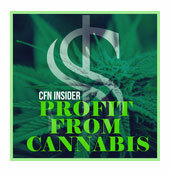 cannabis as they do with alcohol, but would not need to subject it to the intense scrutiny of prescription drugs. The approval of Epidiolex is promising to the extent it increases awareness and legitimacy of cannabis as medicine. But it also raises the concerning possibility that all cannabis may soon be regulated like prescription drugs, and controlled by large corporations, rather than by the people and small businesses who grew the industry up from the ground. I Have My Temporary Distribution License. Now What ?